November is a really short month for me. After the Veteran’s Day holiday we have conferences. We then have Thanksgiving break. 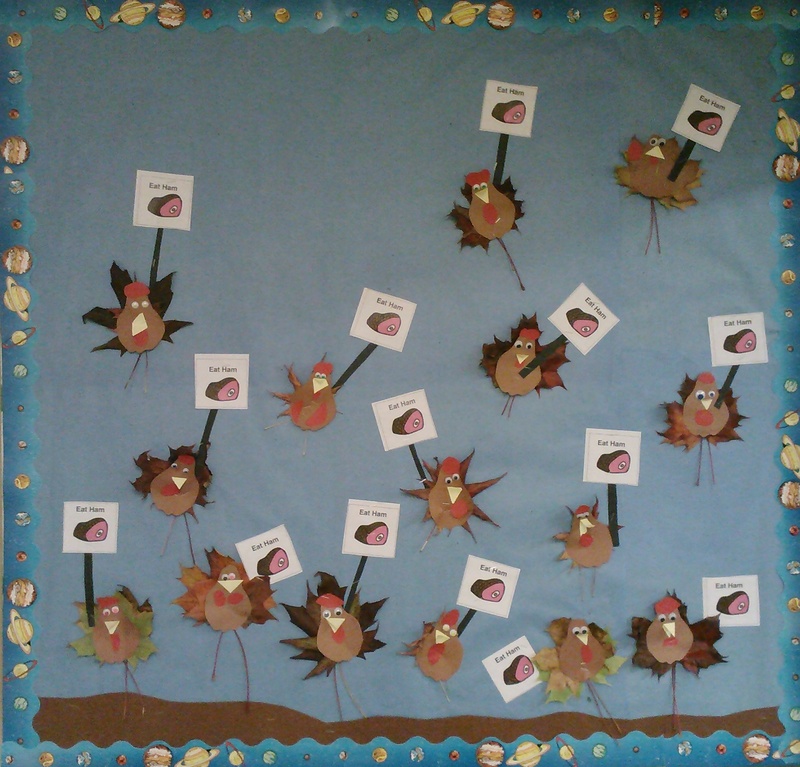 I usually don’t have time to do an elaborate bulletin board but after seeing the leaf turkeys on Pinterest I couldn’t pass them up. I happen to have a huge supply of maple leaves from a tree in my yard, and I already had the other supplies. 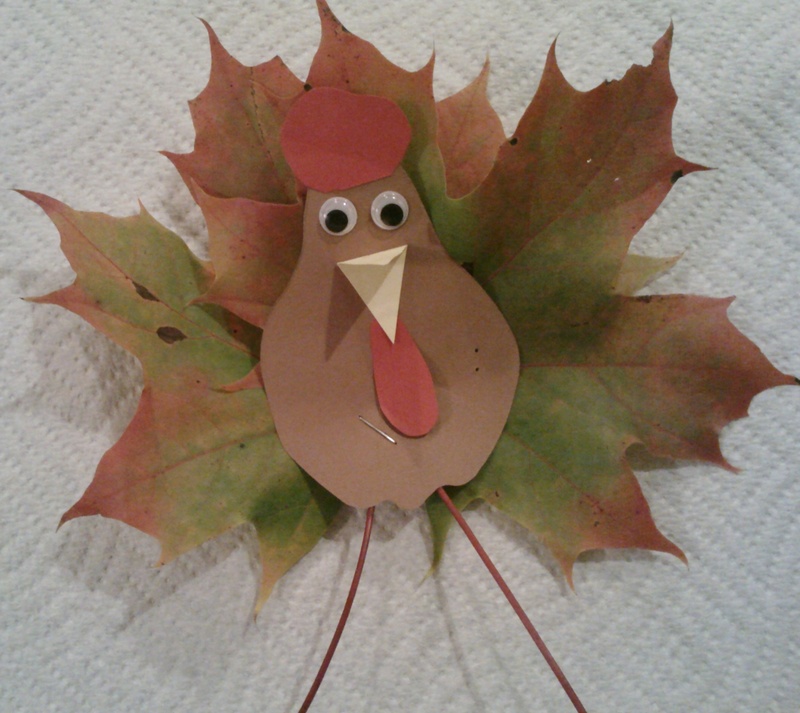 The pear die from the homonym tree came in handy because I used it for the turkey body. It was an easy project that could be completed in one session and was good for concept vocabulary development (1st, second, finally, behind, in front, above, below, and together). This is what the bulletin board looked like. We added the signs for a little humor and to talk about irony and double meanings with the older students. The signs say ‘Eat Ham” .